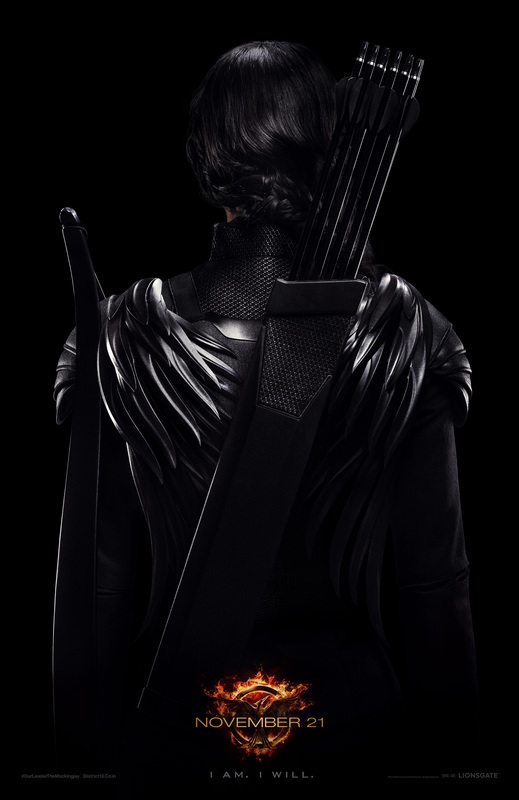 The latest promotional poster for The Hunger Games: Mockingjay — Part 1 is a (genuine) tease: It only depicts the back of franchise heroine Katniss Everdeen! Yes, Jennifer Lawrence is facing away from the camera. Her character is only identifiable by her trademark bow & arrows and braided hair (which is now pitch black, like her leather warrior ensemble). THG:MP1 is scheduled to hit theaters Nov. 21, with Part 2 bowing next November. This entry was posted in Actors/Actresses, Film, Posters, Sequel and tagged Jennifer Lawrence, Katniss Everdeen, Liam Hemsworth, Natalie Dormer, The Hunger Games, The Hunger Games: Mockingjay — Part 1. Bookmark the permalink.